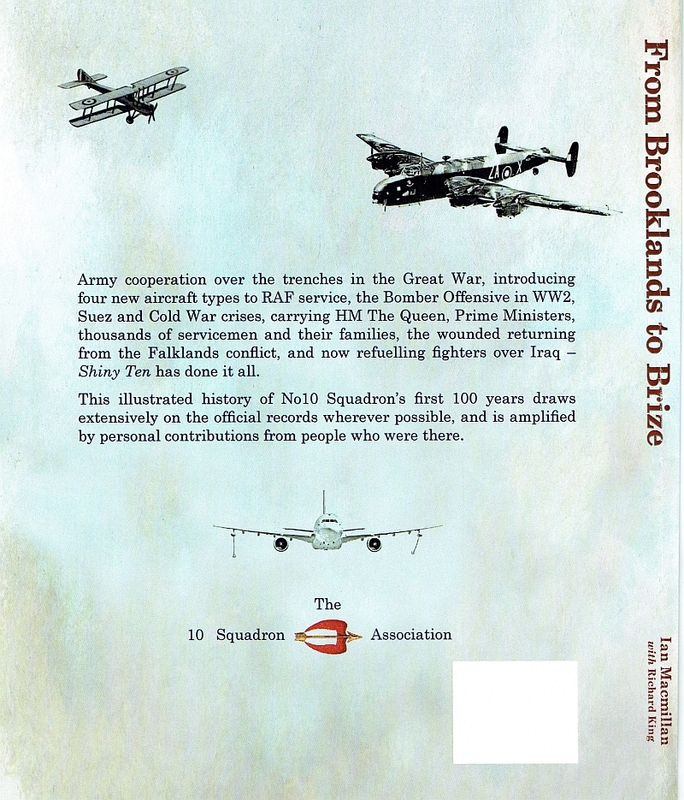 344 pages in a glossy, hard-backed volume, detailing Squadron records, personal anecdotes and memories, photographs and information about the Squadron and its Association. Sales of the book are open to all. 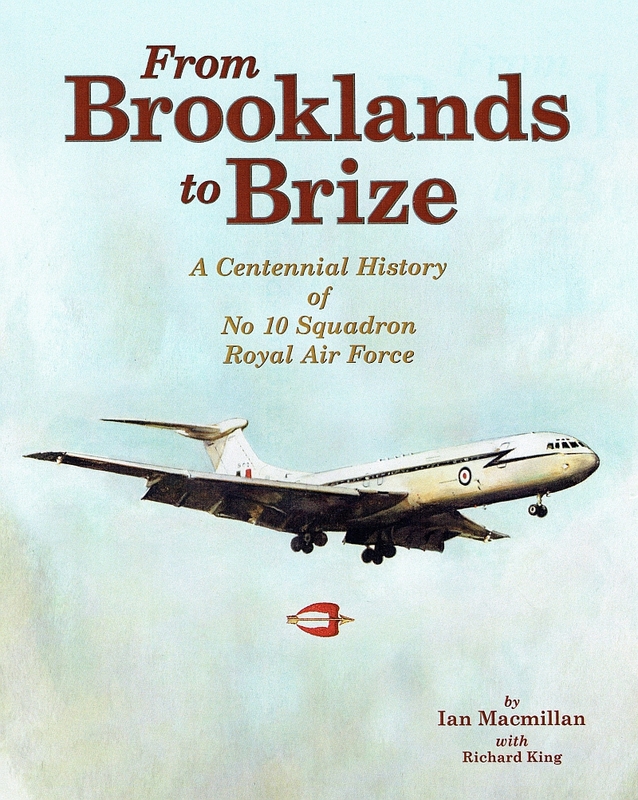 Although the book has an ISBN number, it is not available on general sale in bookshops but is now available on Amazon. Payment may be made by UK cheque, Bankers Draft or Postal Order and IBAN details will be supplied for overseas customers. A short 15 minute service by the Memorial is usually followed by coffee and bickies in the restored former RAF Melbourne Control Tower, thanks to the generosity of the volunteer restoration crew. 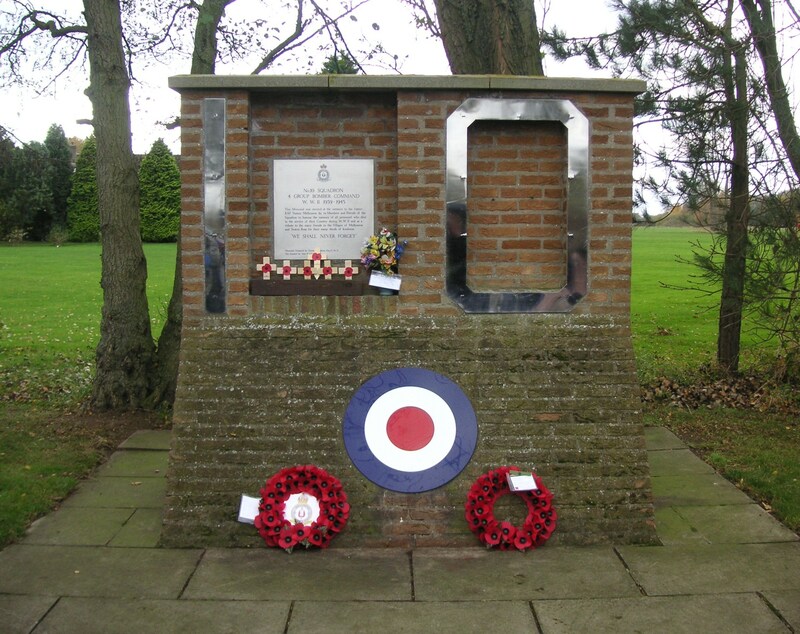 We are grateful to Mr John Rowbottom, owner of Melrose Farm, for his continued support of the 10 Squadron Association, for his care and maintenace of the Memorial and for allowing us to hold our Annual Remembrance Service here. for the Elvington Village Remembrance Day service and parade. 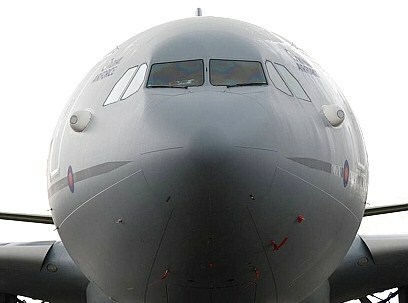 Through traffic is not allowed through Elvington to Sutton on Derwent and Melbourne. From the A64 York ring road take the exit for the A1079 signed for Beverley & Hull. At 9.3 miles from the A64, opposite Barmby Moor Industrial Estate, take a right turn at the new roundabout, signed to Melbourne & Allerthorpe. (Road sign points to Pocklington Gliding Club to the left.) 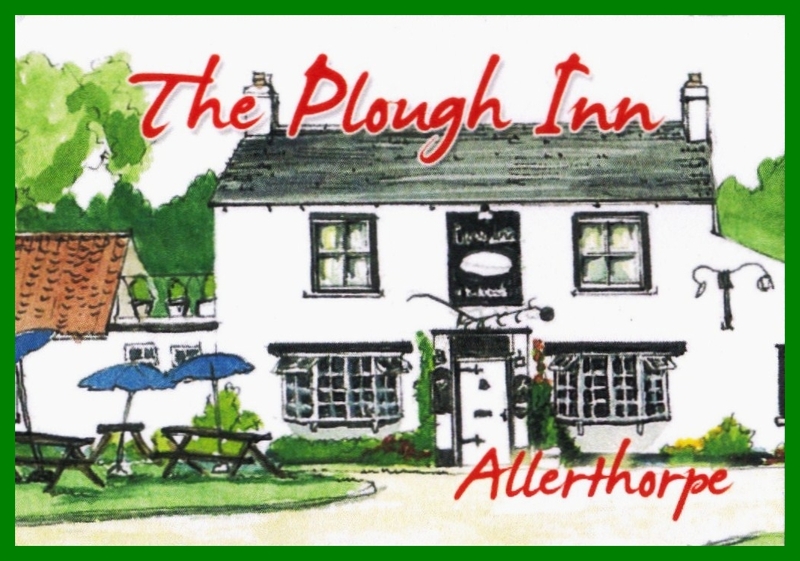 Pass through Allerthorpe, passing the Plough Inn, where we have lunch, on your right and take no exits from this lane until reaching Melbourne village from the east. Turn left (south) into Campey Lane and left at the next T-junction. - sign post shows Seaton Ross 2 miles and Mkt Weighton 9 miles. Travelling east towards Seaton Ross, the Memorial is on the right after 1 mile adjacent to a large sign marked Melrose Farm. Adequate parking is available up the side tarmac, farm lane by the Memorial. Total journey distance from leaving the A1079 at Barmby Moor roundabout is 5.4 miles. 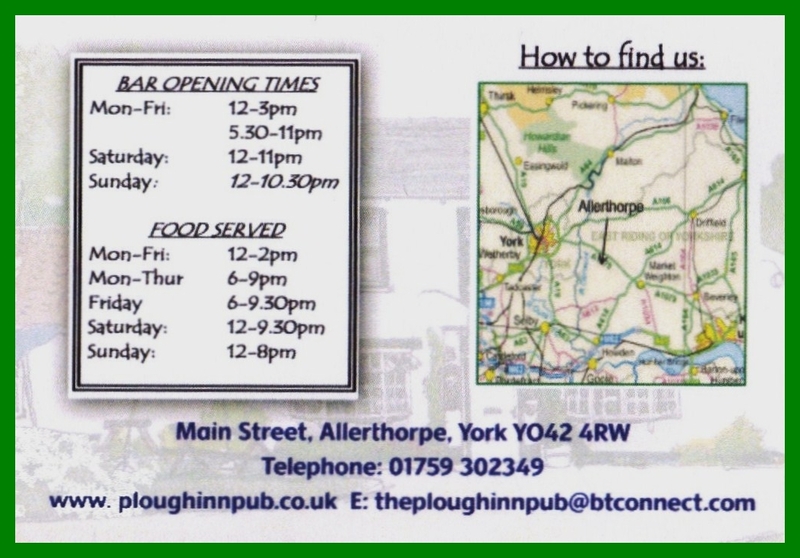 If you need sustenance after visiting the 10 Squadron War Memorial, do give 'The Plough Inn' at Allerthorpe a visit. It's just off the main York - Hull Road (A 1079) near Barmby Moor. Good food, pleasant company and very reasonable prices. Harriet & Dan will make you feel most welcome. Even if you are not an Association Member do tell them why you are visiting the area. They will then point out the many framed Squadron photos, some of which came from the 10 Squadron Lounge in the 'Bombers' pub at Seaton Ross after its closure in 1998. 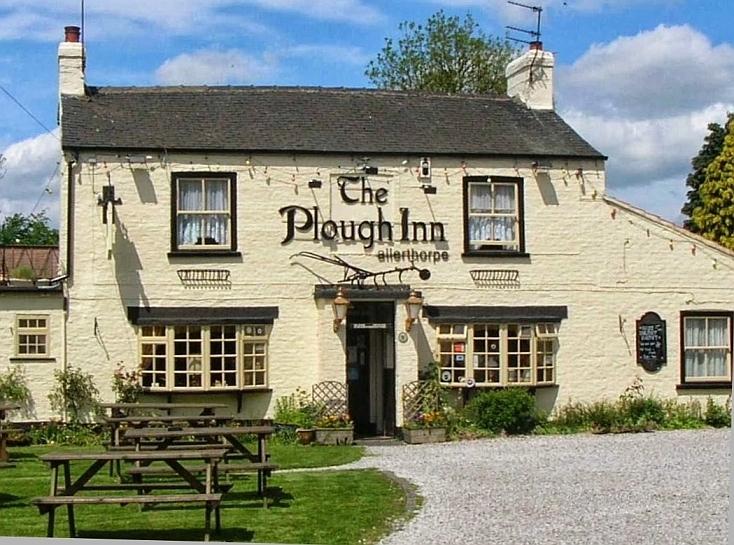 It is here at the Plough Inn that the 10 Sqn Association holds its annual lunch, following the Remembrance Day Service at the Melbourne Memorial. On this occasion, due to the high demand for seats, prior booking is necessary. Contact the pub direct ( Tel: 01759 - 302349) by late September if you wish to book places at the lunch and NOT the Association's committee members. It goes without saying that of course all are welcome to attend the Remembrance Service at the Memorial, without prior notification. A group of 10 Squadron Staff visited the city of Berlin for an educational, yet enjoyable few days, in June 2014. An account of this, written by 10 Squadron cabin crew member SAC Leanne Wyllie, featured recently in the Brize Norton Gateway Magazine. Thanks to her for allowing us to publish it here also.